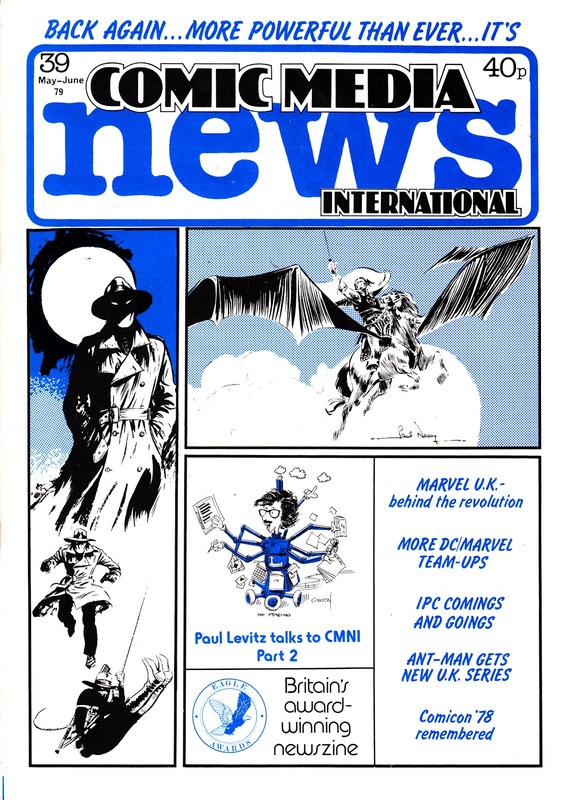 This is COMIC MEDIA NEWS INTERNATIONAL, a late seventies British fanzine. 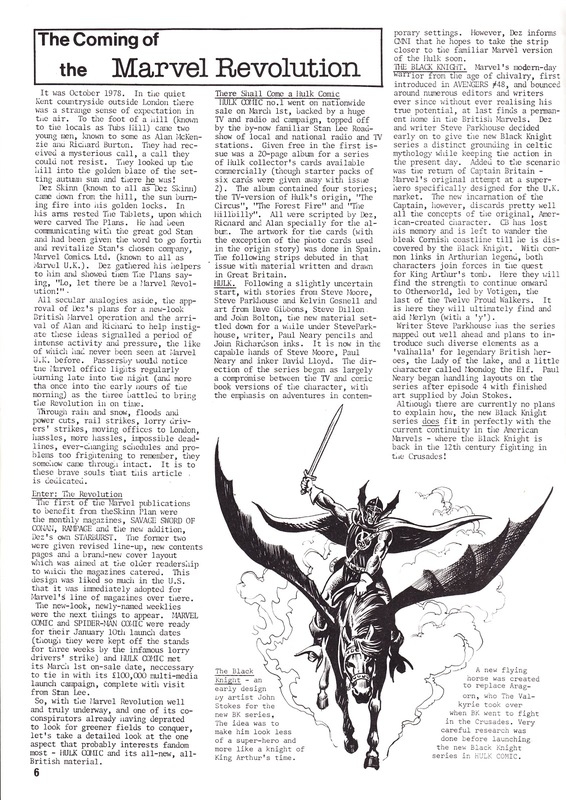 This issue (39, May-June 1979) appeared during the early months of Dez Skinn's reign at Marvel UK... and the early stages of his Marvel Revolution: overhauling the weeklies. 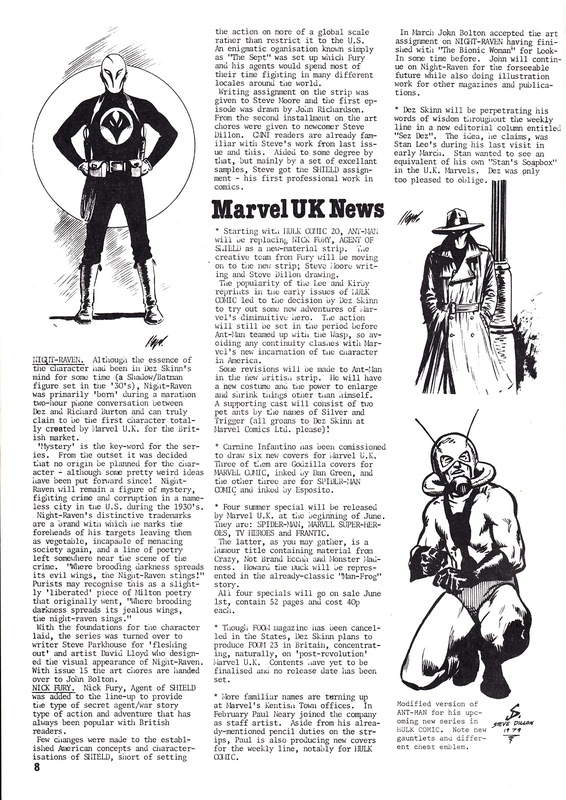 HULK COMIC, the first M-UK weekly to feature predominantly new UK-generated material, understandably gets the bulk of the coverage... along with some great illustrations.